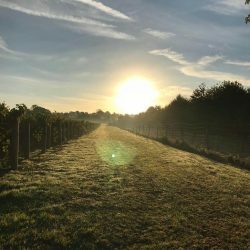 Part of the new renaissance in English Wine, Nutbourne is a family run boutique wine producer making award winning Still and Sparkling wines in the heart of West Sussex. Every part of the wine making process takes place on site in our state of the art winery. Nutbourne is a beautiful place to visit and we encourage members of the public or trade customers to come to the vineyard. Our ancient windmill tasting room is open throughout the summer months and at other times by appointment. Nutbourne wines are sold throughout the South East by wine merchants, restaurants and hotels. We also supply selected restaurants, major special events in London, and private customers everywhere. Please contact us for more information. We specialise in private or corporate lunches and dinners combined with vineyard tours. The wine lodge nestles within the vines and adjacent is an old windmill perfect hosting intimate events. 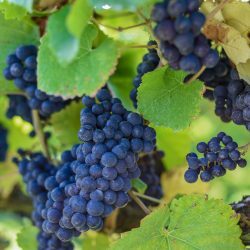 We welcome groups to visit our beautiful vineyard, tour the winery and learn about the growing and production of some of this Country’s finest wines. 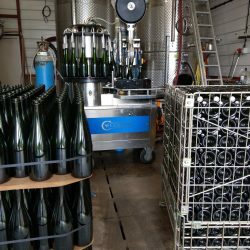 Nutbourne Vineyards is a family business – owned and run by the Gladwins. They’ve been running the vineyard since 1991 and get involved with every aspect. The “Terroir” at Nutbourne is a unique and ideal wine growing environment – There are 26 acres under vine with 7 different varities. We have a selection of still and sparkling English wines all grown and made on-site.